have some pretty strong feelings about nuclear combat. of orders to attack the Soviet Union. From the movie, Doctor Strangelove. Welcome to Strategic-Air-Command.com, a website dedicated to preserving the heritage of the Strategic Air Command. No other military organization has ever had such awesome power, nor showed such restraint in using it. Certainly the hardware and operations are an essential part of it, but the real story of SAC is the interplay of its men and their machines. Played against a background of political and cultural upheaval and under the foreboding clouds of nuclear holocaust, they had to reconcile an inherent revulsion to becoming mass-murderers with their duty to protect family, friends, and the American way of life. That situation was well summarized by Major Kong in the above quote. The former SAC museum maintained, �The Cold War didn�t just end � it was won.� For many years SAC�s motto proclaimed, �Peace is Our Profession.� It�s mission had been fulfilled. Our planet survived the most trying moments of its nuclear age and without question it was the single greatest threat that mankind has ever experienced. The men of SAC had to endure the day-to-day experience of actually fighting the Cold War, the only war ever won without a shot being fired, but one that changed the world. Their achievement is without parallel in human history, but it has not been properly recognized. The various official websites concentrate on the hardware. Our primary goal is to honor it's men and their experiences. The Strategic Air Command is an enormous subject. Over its forty-year life, over a million men served in it. They flew many aircraft, had access to many weapons and were stationed at many bases. SAC had numerous exercises, operations, and command controls. There were many individuals who distinguished themselves. Documenting all this is a monumental task, and it seems that every day someone provides a new bit of knowledge. This web will never be complete, but must always be viewed as "Work in Progress." Contributions are not only invited, but encouraged. so you can display them separately or together. New - Newly released information proves that SAC was designed as a first strike force. New - Chat Room. Suggest we start out by setting hours from 6pm to 12pm EST until we build up some traffic. New - Greatly expanded Aircraft Section., featuring at least one page on every plane flown by the USAF from its beginning in 1946 to date. Now expanding the bomber section. Great B-47 gallery. Plus many other graphics. New - Gallery. Throughout our web, we have lots of photos, art and other things included in galleries. 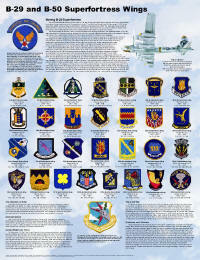 Most of these are linked to the subject, such as wings, bases, aircraft, and patches. This new gallery covers broader topics, such as clip art, wall paper, memorabilia and ads. Special section on movies about SAC. Includes posters and reviews. Be sure to check out Dr. Strangelove. Coming Attractions - We've almost completed a major revision and expansion on the sections dealing with wings, bases and aircraft. The next major project is how they were used. "Operations" will cover Command and Control (Structure, Procedures, Communications), Combat, Deterrence (Air, Ground and Reflex Alert), Aerial Refueling, Intelligence (Early Warning, Reconnaissance), Maintenance, Security, Supply, Training, and other subjects. Many of these subjects have never been addressed in detail. There were a great many "nooks and crannies" in SAC, so we probably haven't identified all the subjects yet. This is a big project and we invite you to share your knowledge and experience. Contributions encouraged. NEW - Should this be our Theme Song? Email your opinion? Mystery Patches - We've accumulated about a dozen patches, but know little of their origin. They include units and events. Introduction - SAC's mission and how it accomplished it. 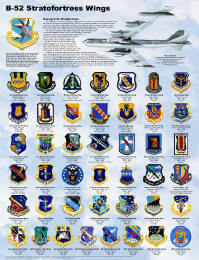 Aircraft - Recently expanded section now has at least one page of every aircraft flown by the USAF since 1956. Extensive material on the bombers, plus great galleries. Wing Histories - First Draft complete for most wings. The wing was SAC's basic operational unit. This is a very extensive section that includes a brief history of each wing, the aircraft it flew, it's tactical units, bases and more. These Histories will be expanded as more material becomes available. Contributions are invited. Three ways to Access: (1) Hop to - for quick load, (2) Wing Summary - Identifies years in operation, bases, and aircraft, and (3) Who Flew What When - Extensive chart showing bombers and missiles assigned to each wing, year by year, 1946 to date. A very useful reference and one of our most popular pages. But it is big and takes time to download. 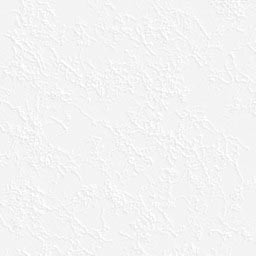 Bases - There is currently a page for each base. It provides a comprehensive overview of the base history, lists the units that served at the base, and, when available, photos of the base. 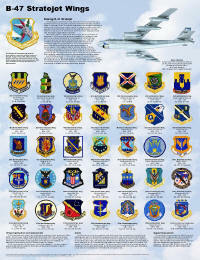 People - A new section honoring those who contributed to the development of Air Power. First biography is of General Curtis Lemay - who else? Will soon be followed by others. Stories - All who served in SAC have stories to tell. We hope that you will share yours with us. Have accumulated a few already and others are being constantly added. Hope you enjoy them. Bulletin Board - Things that may be of interest to our visitors. Frequently updated. Submissions invited. SAC History - Just Started. Covers events of first three years. Weapons - Nice Chart showing all nuclear bombs used by SAC. Much more to be done. Patches - Large on-line collection of wing patches. Many other patches also shown: Air Force, SAC, aircraft, missiles, etc. Gallery - We have finally started on this. The original plan was to have one gallery divided into sections, but found it was better for them to accompany the subject. Thus aircraft and missile has its own gallery. Many other pictures incorporated into applicable pages, such as base and wings. Our Main Gallery contains subjects with a board interest, such as clip art of the SAC shield, the SAC Christmas Card and pictures relating to current operations, such as Enduring Freedom. Future Sections - Primary goal is message board and chat room. Research areas will later include sections on command and control, operations, communications, aerial refueling, deployments, memorabilia, and SAC humor. We plan to establish a message board to help you locate old buddies. Meanwhile obtain a copy of How to Locate Anyone Who Is or Has Been in the Military by Lt. Col. Richard S. Johnson and Debra Johnson Knox. Contact MIE Publishing.